The 18th edition of the Journalism Awards for Excellence will culminate with the annual ‘Awards Night’ on Tuesday, July 25, at the Empire Ballroom of the Mount Lavinia Hotel – the host hotel for the gala event. The event which was launched in 1999 by The Editors’ Guild of Sri Lanka and is now organised by the Guild in partnership with the Sri Lanka Press Institute, is the biggest media awards programme in the country. The aim of the programme is to recognise professionalism in 14 categories of Sri Lanka’s print media and reward excellence over a particular year. An overseas scholarship is also offered by the Lakshman Kadirgamar Foundation to the winner of the Denzil Peiris Young Reporter of the Year. The Guild also presents two special awards by its own nomination at the event; the D. R. Wijewardene Award for Recognition by Peers and the Public, and the Sepala Gunasena Award for Defending Press Freedom in Sri Lanka. Messrs. Keells is the main sponsor of this year’s event along with the National Lotteries Board and the Development Lotteries Board. Other sponsors are Peoples Bank and Bank of Ceylon. SriLankan Airlines will fly the winner of the Young Reporter of the Year Award abroad for overseas scholarship. Widana Gamage Gunerathne commenced his career in 1963 as the Kamburupitiya Group Correspondent for Lake House. Later he joined Lake House as a staffer. WG, as he is popularly known among colleagues, became the Dinamina news editor and later Silumina deputy editor. He also worked at the Sunday Observer. WG won a scholarship from the Asia Foundation and studied Humanities in Journalism at the Michigan University, USA. He worked at the Media Secretariat of President Chandrika Bandaranaike Kumaratunga before joining Wijeya Newspapers. He became provincial editor of the daily Lankadeepa. 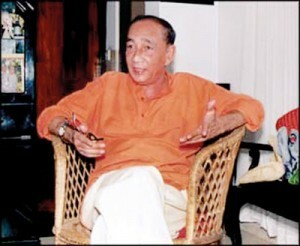 WG was the first head of the Lankadeepa.lk web edition. He has translated and edited several books. He received his education from Rahula College, Matara, Batuwita Vidyalaya, Kitalagama and Tihagoda Junior School. 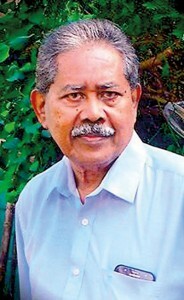 Lakshman Jayawardena joined the Associated Newspapers of Ceylon Limited (Lake House) as a trainee journalist in 1965 and worked in Janatha, Dinamina and was news editor for the Silumina newspapers. He later joined Wijeya Newspapers and helped establish the Lankadeepa (daily) and held positions of news editor, deputy editor and associate editor. He re-joined Lake House in 1995 as its Chairman. During his tenure the Daily News and Sunday Observer online editions were launched. He also started the Journalism Training Institute. He later joined the Sri Lanka Foreign Service and was appointed Press Attaché to the Sri Lankan High Commission in Canada and India. He has authored several books, among these a book in Sinhala introducing the internet, and a book on the Sri Lanka Foreign Service. 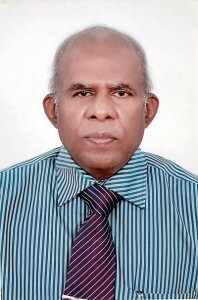 S. A. C. M. Kuwaldeen, commenced his career in journalism at the Dinapathi Daily in 1966. Kuwaldeen, who had his education in Jaffna, has written several short stories and articles for national newspapers including Virakesari, Virakesari Weekly and Mithiran. He was a reporter for Eelamani which was published by the Times Limited in 1970s and Seithy magazine published in Kandy. He continues to be the Kandy-Senkadagala correspondent for Virakesari. He has received many awards: Rathinadeepam Award – 1996, Sahithya Award for Media – 2005 by the Central Province Hindu Cultural Ministry, and Maadhiya Suri Award sponsored by the Sri Lanka Graduate University, Asgiriya Buddhist Faculty. In 2010, the Sri Lanka Muslim Media Forum honoured him with an Achievers Medal. To crown it all the State awarded him the Kalabhushana Award. 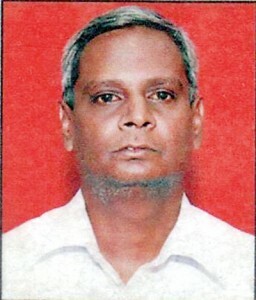 Palavasam Panneer Selvam started his journalistic career at Virakesari published by Express Newspapers Ceylon Limited. He writes on parliament, politics, general news and analytical articles on Tamil Nadu politics. Gaston de Rosayro is a professional writer in Sri Lanka and the Asian region. He has held several editorial executive positions in newspapers in Colombo, Malaysia, Singapore and Hong Kong. He started his career at the Daily News as a reporter and sub-editor and its sister journals the Observer and Sunday Observer as a reporter, sub-editor, feature writer and columnist. He left Sri Lanka in 1978 to take up an appointment with the New Straits Times in Kuala Lumpur, Malaysia as an Executive Sub-Editor. He then joined the Singapore Monitor as a Senior Editor. He moved on to the Hong Kong Standard as Managing Editor Publications and later joined the South China Morning Post as Senior Editor. 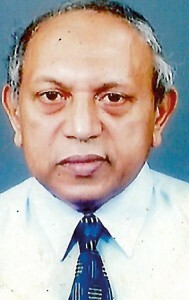 He was appointed Colombo Correspondent for the Post in 1995. During his stints in these overseas journals he continued to be a frequent contributor to the Lake House journals. On returning to Sri Lanka, he took up the post of Editor-in-Chief of newly established The Weekend Express. Gaston is the author of the biography of Rienzie T. Wijetilleke titled The Banker, the Man, the Legend. He also wrote the satire titled The Serendib Spirit.